Asure Camelot Arms Motor Lodge offers a range of accommodation from studio units through to One and Two bedroom apartments. <xml><property sid="108" securecdn="https://35d8e1b37f60a632ec40-67ac26ba2df4f0626da638c2629e389c.ssl.cf4.rackcdn.com/" ajaxid="sid-108-4eda3506d51e0f150ac1214b6f0f21b5"><propertyName>ASURE Camelot Arms Motor Lodge Papatoetoe</propertyName><phone type="tollfree">0800 22 33 33</phone><phone type="toll">+64 9 278 9794</phone><phone type="fax">+64 9 278 3951</phone><phone type="mobile">021 140 4565</phone><email>info@camelotarms.nz</email><hosts>Michael &amp; David</hosts><description>We are in a busy city area but native birds still like to call our place home. Wake up in the morning to the delightful sound of them singing in the trees surrounding the motel. ASURE Camelot Arms Motor Lodge doesn't look like a typical motel. With its unique look Tourists staying at the motel like to have their photo taken in front of it. ASURE Camelot Arms Motor Lodge is an ASURE four star rated motel. 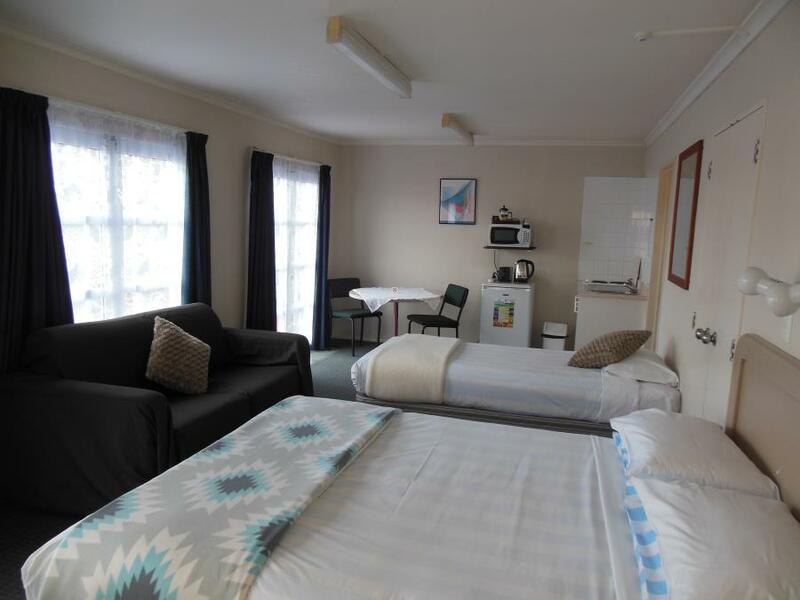 It offers a range of motel accommodation options and conference facilities for visitors to Auckland and South Auckland. 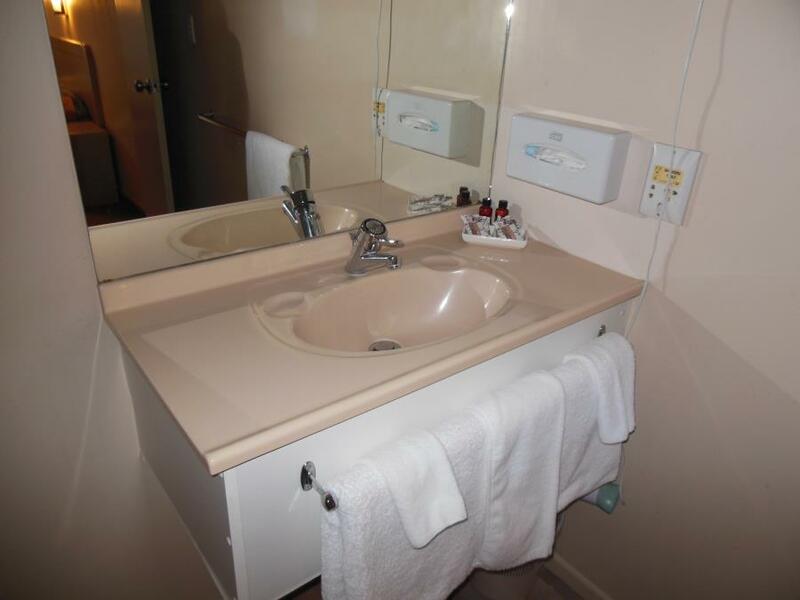 Located in close proximity to Auckland International Airport, Manukau City, Papatoetoe, and East Tamaki, and adjacent to State Highway 1 – ASURE Camelot Arms Motor Lodge is convenient for both business travelers and holiday visitors.</description><facilities><item>23 self contained units serviced daily – studio, 1 bedroom and 2 bedroom units</item><item>32” HD TV’s, SKY TV, DVD Players</item><item>Charge back facilities from local restaurants</item><item>Free off-street parking</item><item>Free WiFi</item><item>Conference room with facilities &amp; full catering for up to 25 delegates</item></facilities><rating type="Asure">4</rating><photos></photos><address><street>525 Great South Rd, Papatoetoe</street><suburb>Manukau City</suburb><zip>2025</zip><city>Auckland</city><region>Auckland</region><country>New Zealand</country><lat>-36.98073505378</lat><long>174.875843524933</long></address><roomtypes><roomtype id="62571" category="Standard" maxguests="3" maxadults="3" maxchildren="0" maxinfantsreqcots="0" maxinfantsnotreqcots="0" defaultbaserate="170" defaultbaseratemaxguests="3"><roomtypename>Standard Studio</roomtypename><photos><photo><file>images/Studio7.JPG.jpg</file><capt>Main Unit</capt></photo><photo><file>images/Studio013.JPG.jpg</file><capt>Main Unit (from other end)</capt></photo><photo><file>images/Studio009.JPG.jpg</file><capt>Kitchen</capt></photo><photo><file>images/Studio012.JPG.jpg</file><capt>Bathroom</capt></photo><photo><file>images/Studio05 (1).JPG.jpg</file><capt>Shower</capt></photo></photos><features><feature>Free WiFi.</feature><feature>Writing desk</feature></features><desc>Sleeps 1 - 3. Sky 50+ channels Guest Select. King or Queen bed plus a single bed. 40 inch Flat screen TV. Writing Desk. Table and Chairs. Ironing Facilities. Spacious Apartment offering a Super King bed in the Master Bedroom, Three single beds in the second bedroom. Full kitchen including oven. Separate Lounge/Dining leading onto patio. Table and Chairs to seat 6. 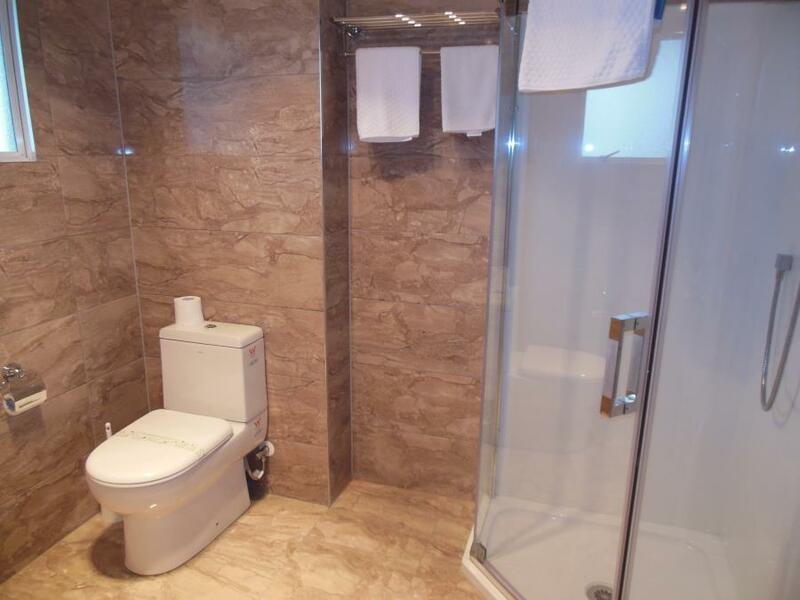 Bathroom with shower over bath, Hair Dryer and amenities. King or Super King Bed. Writing Desk, Table and Chairs. Ironing Facilities. Relax in a large Corner Spa bath also with overhead shower. Sky 50+ digital Channel Guest Select</desc></roomtype><roomtype id="1277184" category="Corporate Rooms" maxguests="3" maxadults="3" maxchildren="2" maxinfantsreqcots="1" maxinfantsnotreqcots="1" defaultbaserate="270" defaultbaseratemaxguests="3"><roomtypename>Corporate Twin Studio</roomtypename><photos><photo><file>images/DSCN1347.JPG~900.jpg</file><capt>Main Unit 1</capt></photo><photo><file>images/DSCN1348.JPG~900.jpg</file><capt>Main Unit 2</capt></photo><photo><file>images/DSCN1349.JPG~900.jpg</file><capt>Main Unit 3</capt></photo><photo><file>images/DSCN1344.JPG~900.jpg</file><capt>Shower &amp; Toilet</capt></photo><photo><file>images/DSCN1345.JPG~900.jpg</file><capt>Shower</capt></photo><photo><file>images/DSCN1346.JPG~900.jpg</file><capt>Vanity</capt></photo></photos><features/><desc>•	Sleeps 1 - 3 (Max) Guests. Folding bed not available. •	Sky 50+ channels Guest Select. •	40 inch Flat screen TV. •	Writing Desk. Table and Chairs. Ironing Facilities. •	Shower, Hair dryer and Amenities. •	Tea, coffee facilities with microwave and refrigerator. </desc></roomtype><roomtype id="1277190" category="Corporate Rooms" maxguests="2" maxadults="2" maxchildren="1" maxinfantsreqcots="1" maxinfantsnotreqcots="1" defaultbaserate="230" defaultbaseratemaxguests="3"><roomtypename>Corporate Studio Deluxe</roomtypename><photos><photo><file>images/DSCN1337.JPG~900.jpg</file><capt/></photo><photo><file>images/DSCN1343.JPG~900.jpg</file><capt/></photo><photo><file>images/DSCN1339.JPG~900.jpg</file><capt/></photo><photo><file>images/DSCN1340.JPG~900.jpg</file><capt/></photo><photo><file>images/DSCN1342.JPG~900.jpg</file><capt/></photo></photos><features/><desc>•	Sleeps 1 - 2 (Max) Guests. Folding bed not available. •	Sky 50+ channels Guest Select decoder in room. </desc></roomtype><roomtype id="6469" category="Corporate Rooms" maxguests="4" maxadults="4" maxchildren="3" maxinfantsreqcots="1" maxinfantsnotreqcots="1" defaultbaserate="309" defaultbaseratemaxguests="4"><roomtypename>Corporate One Bedroom Apartment</roomtypename><photos><photo><file>images/DSCN1325.JPG~900.jpg</file><capt>Main Room with King Bed</capt></photo><photo><file>images/DSCN1357.JPG~900.jpg</file><capt/></photo><photo><file>images/DSCN1281.JPG~900.jpg</file><capt>Main Room 2</capt></photo><photo><file>images/DSCN1356.JPG~900.jpg</file><capt/></photo><photo><file>images/DSCN1282.JPG~900.jpg</file><capt>Main Room 3</capt></photo><photo><file>images/DSCN1283.JPG~900.jpg</file><capt>Main Room 4</capt></photo><photo><file>images/DSCN1355.JPG~900.jpg</file><capt/></photo><photo><file>images/DSCN1354.JPG~900.jpg</file><capt/></photo><photo><file>images/DSCN1350.JPG~900.jpg</file><capt/></photo><photo><file>images/DSCN1351.JPG~900.jpg</file><capt/></photo><photo><file>images/DSCN1352.JPG~900.jpg</file><capt/></photo></photos><features/><desc>•	Sleeps up to 4 (Max) Guests. Folding bed not available. •	Sky 50+ channels Guest Select decoder in main room. •	Toilet separate from bathroom. •	Tea, coffee facilities, toaster, microwave and refrigerator. Bathroom with Shower, Hair dryer and Amenities. •	Sleeps 1 - 3 (Max) Guests. Folding bed not available. •	Sleeps 1 - 2 (Max) Guests. Folding bed not available. •	Sleeps up to 4 (Max) Guests. Folding bed not available.